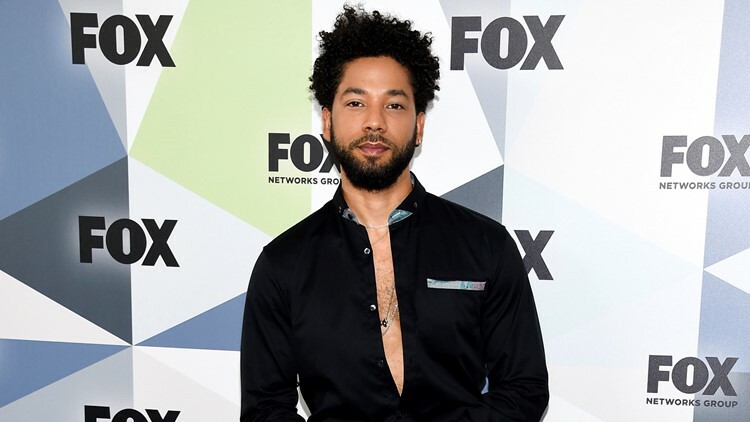 'Empire' actor Jussie Smollett had said two men attacked him in January as he was walking home in downtown Chicago. 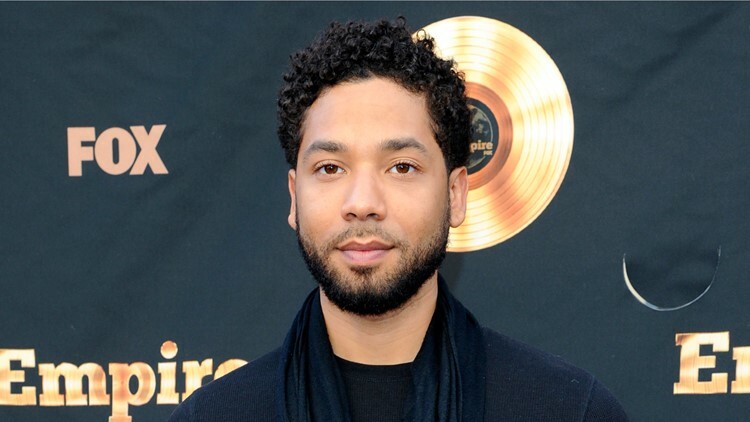 CHICAGO — "Empire" actor Jussie Smollett was charged Wednesday with making a false police report when he said he was attacked in downtown Chicago by two men who hurled racist and anti-gay slurs and looped a rope around his neck, police said. Police were trying to get in touch with Smollett's attorneys to "negotiate a reasonable surrender," Guglielmi said. That could involve Smollett turning himself in to a Chicago police station. He said he did not have a time frame for how long the actor would be given. The charges emerged on the same day that detectives and two brothers who were earlier deemed suspects testified before a grand jury. Smollett's attorneys met with prosecutors and police, but it was unknown what they discussed or whether Smollett attended the meeting. The attorneys did not reply to requests for comment. The announcement of the charges came after a flurry of activity in recent days that included lengthy interviews of the brothers by authorities, a search of their home and their release after police cleared them. Smollett, who is black and gay and plays a gay character on the hit Fox television show, said he was attacked as he was walking home from a Subway sandwich shop. He said the masked men beat him, made derogatory comments and yelled "This is MAGA country" — an apparent reference to President Donald Trump's campaign slogan, "Make America Great Again" — before fleeing. Earlier Wednesday, Fox Entertainment and 20th Century Fox Television issued a statement saying Smollett "continues to be a consummate professional on set" and that his character is not being written off the show. The series is shot in Chicago and follows a black family as they navigate the ups and downs of the record industry. Investigators did find and release images of two people they said they wanted to question and last week picked up the brothers at O'Hare Airport as they returned from Nigeria. Police questioned the men and searched their apartment. The brothers, who were identified by their attorney as Abimbola "Abel" and Olabinjo "Ola" Osundairo, were held for nearly 48 hours on suspicion of assaulting Smollett before being released. The next day, police said the men provided information that had "shifted the trajectory of the investigation," and detectives requested another interview with Smollett. Another prospective problem is the bill someone might receive after falsely reporting a crime that prompted a massive investigation that lasted nearly a month and included the collection and review of hundreds of hours of surveillance video. Weisberg recently represented a client who was charged with making a false report after surveillance video discredited her account of being robbed by three men at O'Hare Airport. For an investigation that took only a single day, his client had to split restitution of $8,400, Weisberg said. In Smollett's case, "I can imagine that this would be easily into the hundreds of thousands of dollars." Also Wednesday, Chicago's top prosecutor, Cook County State's Attorney Kim Foxx, announced that she had recused herself from the investigation. Her office explained that Foxx made the decision "out of an abundance of caution" because of conversations she had with one of Smollett's family members just after the report. When the relative expressed concerns about the case, Foxx "facilitated a connection" between the family member and detectives, according to a statement.